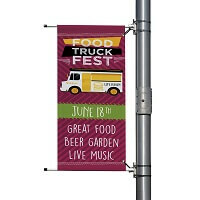 Pole banners or boulevard banners are a great way to liven up your mainstreet or bring school spirit to your college or school campus. They are the best way to display your message in a long-term, outdoor environment. All of our pole banners are printed on strong materials with durable sewn hems and pole pockets. We go the extra mile and put a UV clear coat over the printed banner to help the colors stay vibrant and new for years to come. When used in conjunction with a proper mounting system, these banners can withstand any and all weather conditions for many years to come. Choose from three different pole banner materials to get a look that best fits your needs. Common sizes include 18” x 36” , 24” x 48” , and 30” x 60”. All of our pole banners are 100% customizable and are quoted according to size, quantity and material. See below for your options, then contact us with the information to have us quote your project! Pole banners makes outdoor advertising easy. 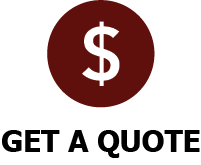 Call today to learn more. When displaying banners 30" x 60" or larger in areas of strong or persistent winds, the FibreFlex III bracketing system is highly recommended. 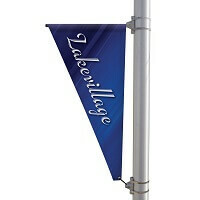 This system has an overall adjustment of 3 inches, allowing easy changeovers and taut banner installation. The larger base of the FibreFlexII creates a stronger hold and will secure banners 30" x 60" and larger. 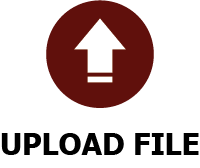 This system may be mounted to either metal or wooden poles. The first generation of FibreFlex Bannerware. 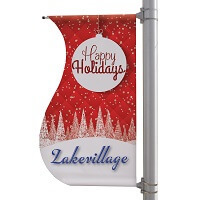 Ideal for small lamp post banners or low pole banners smaller than 30" x 60" installed on metal or concrete poles. 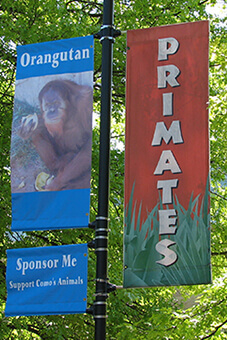 Supply your business with custom pole banners. Order now! 18oz Opaque Vinyl is the strongest vinyl banner material on the market. The banner scrim creates a strong lasting quality and this material can be digitally printed to fit your specific design needs. These banners will be finished with a UV coating, strong sewn hems, pole pockets and brass grommets. Mainstreet banner material is a strong poly canvas that is thicker and more durable than 18oz vinyl, which overtime can crack and tear in the elements. The digital print capabilities let you customize your design and gets you the print you want. These banners will be finished with a UV coating, strong sewn hems, pole pockets and brass grommets. Sunbrella Fabric is a marine acrylic fabric most commonly used to make durable awnings. This material is by far the strongest and longest lasting but is only available with screen printing up to 3 solid colors. The high quality, fade-resistant thermal inks are fused with the acrylic fabric and last for the life of the banner. These banners will be finished with strong sewn hems, pole pockets and brass grommets. 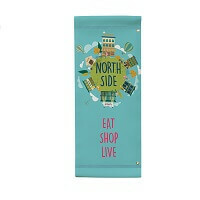 Your custom pole banner is made to last with double fabric rod pockets. solid brass grommets, and double lock stitching. 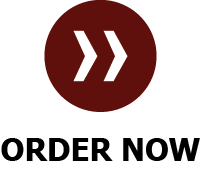 A Division of Advantage Signs & Graphics, Inc | Copyright © 2019 www.bannersminnesota.com | All Rights Reserved.